The Blue and John Crow Mountains, were added to the UNESCO World Heritage List in 2015. It s UNESCO's only new "mixed" site; meeting both cultural and natural qualifications and is described as having "outstanding universal value". The heavily forested mountainous region is a hotspot for biodiversity, with an abundance of hiking trails. In 1990, Blue and John Crow Mountains National Park was declared Jamaica's first terrestrial national park. Located on the eastern end of the island, it protects one third of the approximately 30 percent of Jamaica that is still under natural forest cover, which is also the island's largest remaining tract of intact, closed-canopy, broadleaf forest. The park is made up of two connected mountain ranges; the shale-based Blue Mountains and the limestone-based John Crow Mountains. The Blue Mountain and John Crow Mountain forests have among the highest endemism and total species diversity in the Caribbean. Jamaica is a relatively large island isolated from continental landmasses and as a result, has a striking proportion of endemic flora and fauna. It is estimated that 40 percent of the flowering plants found in the Blue and John Crow Mountains are found nowhere else in the world. Birds such as the Jamaican blackbird, yellow-billed parrot, and ring-tailed pigeon are three of Jamaica's 28 endemic bird species. 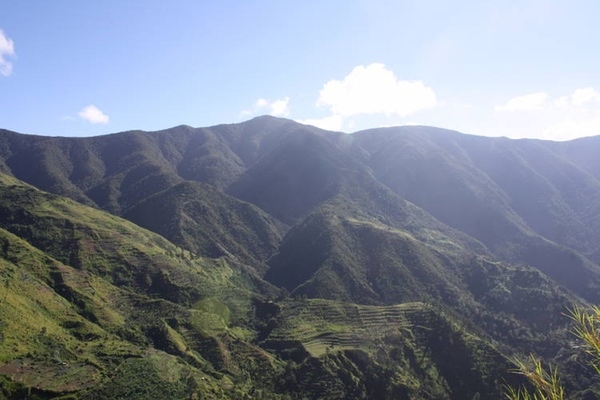 These mountains also are prime habitat for tree frogs, giant swallowtail butterflies and the Jamaican hutia (a large groundhog-sized rodent, also called the coney), the island's only endemic land mammal. The Blue and John Crow Mountains are also home to approximately 150 resident and migratory species of birds. The Blue and John Crow Mountains are divided into 10 watershed units which supply water for the nearby urban and rural areas. Conservation of the forest resources will assure the continued supply and quantity of water necessary to maintain the health and livelihoods of those who depend on this resource. The most significant current threat to the Blue and John Crow Mountains is deforestation, which occurs as subsistence and commercial farmers use slash and burn techniques to convert forests to agriculture land. As soils fail, farmers eventually abandon the land and clear new areas. Illegal timber harvesting removes valued timber species and degrades the natural forest, changing its species composition and structure. Invasive species also threaten the Blue and John Crow Mountains, changing habitat structure and species composition. Two invasive aggressors, wild coffee (Pittosporum undulatum), a native of eastern Australia, and Ginger Lily (Hydicum spicatum) of South Asia are invading and quickly spreading in closed canopy forests and along boggy stream sides. Parks in Peril (PiP) provided support in Blue and John Crow from 1998-2001 by concentrating its efforts on strengthening park management, maintaining forest integrity, and enabling compatible economic development. PiP sought to improve the technical capacity of park personnel and develop basic infrastructure. It also ensured that all park rangers were mobile and had access to communication systems. Staff received training in community-based tourism, tour guiding, CPR/First Aid, and project management. Forest restoration was also a priority in the buffer zones of the park. PiP's partner organization, Jamaica Conservation and Development Trust (JCDT), established a tree nursery and distributed timber and fruit trees to buffer zone communities for planting. JCDT and PiP also promoted business activities in local communities by providing training in environmentally compatible business activities to businessmen and women. Field research was conducted on birds in the Blue and John Crow Mountains to determine the health of the ecosystem and assess populations of threatened and endangered species. This information was also integrated in workshops for teachers in buffer zone schools. Teachers learned about Jamaica's birds and methods of integrating bird awareness programs into classroom curriculums. Teachers were taught general environmental education principles and ways to bring environmental concepts into everyday teaching. A video entitled â€œWatershedsâ€� was also produced to provide community members with information about the relationships between land management and water quality.